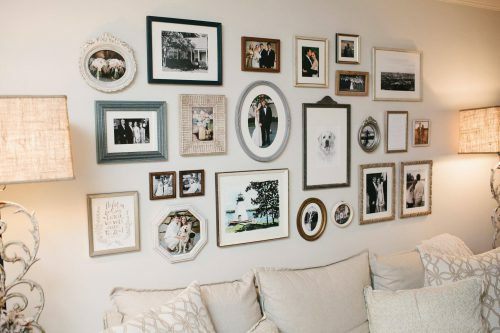 Gallery wall arranging has been having its 10 minutes of fame lately. 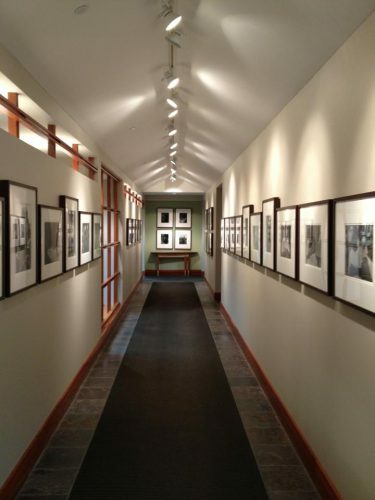 A gallery wall is like creating a story on your wall. Whether small, medium, or large, creating an artful arrangement of your art and photographs can instantly boost the style of any space. 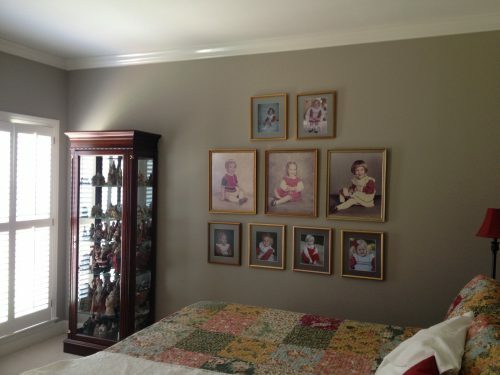 Gallery walls can be a unique way to document your travels, show the age progression of your children, display family heirlooms, and the list goes on and on. 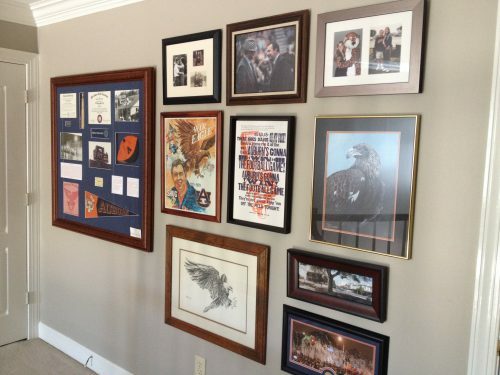 Creating a gallery wall, however, can be quite the daunting project. 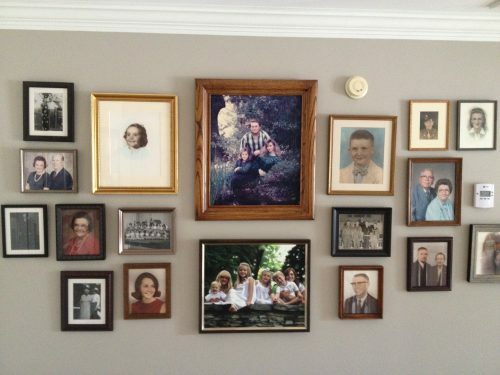 Finding just the right arrangement and then installing it on the wall with all the nails lined up in their exact proper spots is not something that is quickly accomplished in a day and without lots of experience. That is where our installation experts come in. 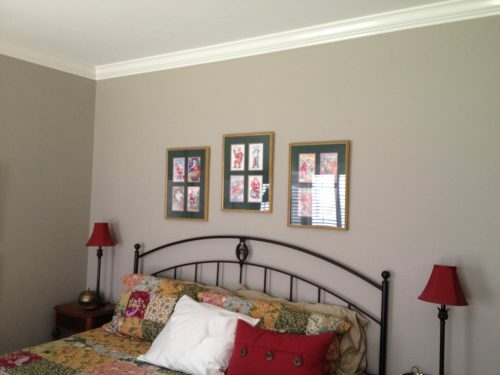 We can take your pile of art pieces and bring a gorgeous, artfully arranged gallery wall to life. Below are examples of some recent projects we have worked on. 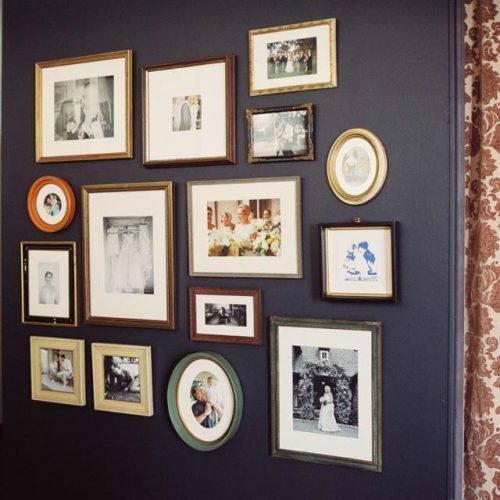 Also be sure to check out our Pinterest page for lots of great gallery wall inspiration.